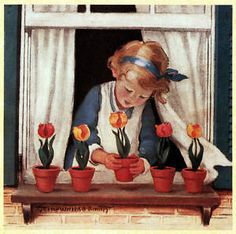 I promise myself every year that I will plant bulbs in the fall, and this year I am doing it! I always have good intentions, and then the weather gets away from me and I am stuck with another year of a brown garden in the spring. 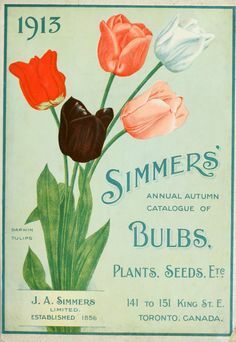 As I began researching which bulbs to plant, where, and at what time, I was amazed at the variety of resources available, in addition to some wonderful vintage advice. 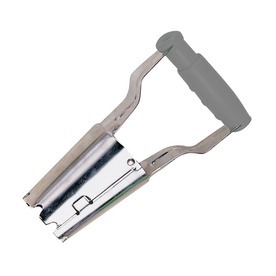 So I thought I would share my findings with all of you! 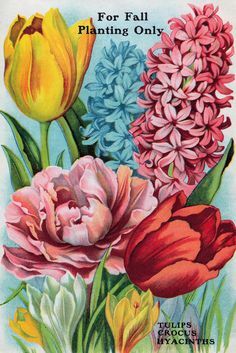 “Gardens are ruled by a gay triumvirate – bulbs, perennials, and annuals – but in the spring the glorious flowering bulb is the mightiest of the three garden kings. In long loved drifts blossoming bulbs will glorify even a tin garden from February until June and, if lilies are included, there will be scattered flowering far into September. Planted with such bright ground covers as forget-me-nots, pansies, English daisies, hardy candytuft, and yellow alyssum, bulbs will create such spring beauty as is breath-taking in its swift, exciting gayety after the dull gray days of winter. 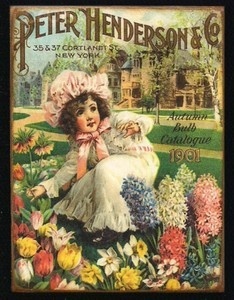 Yet long before spring the thoughtful gardener must plant bulbs. Through the autumn she must tuck into the soil these surest of nature’s promises – for good bulbs can absolutely be counted on to bloom. Within its plum brown skin, each carries an embryo blossom with enough food to nourish it for a season. Many of the smaller kinds are appealingly pretty for the very early garden. Snowdrops bloom in March or early April, while the bright yellow crocus, grape hyacinth, and Scilla Sibrica carry on into May. Of the larger bulbs the narcissus family blooms first. In this group are the white, cluster-type narcissus, the trumpet narcissus common called jonquils or daffodils and the Narcissus Poeticus which blooms about two weeks later than the other two. Many varieties and colors my be included even in a small border. 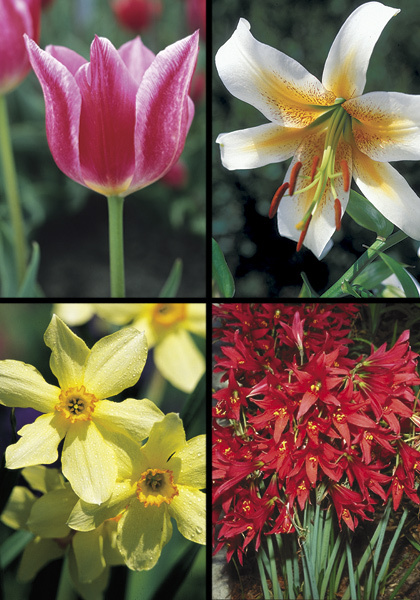 Mixed collections of the tiny bulbs and of the larger narcissus are entirely safe. 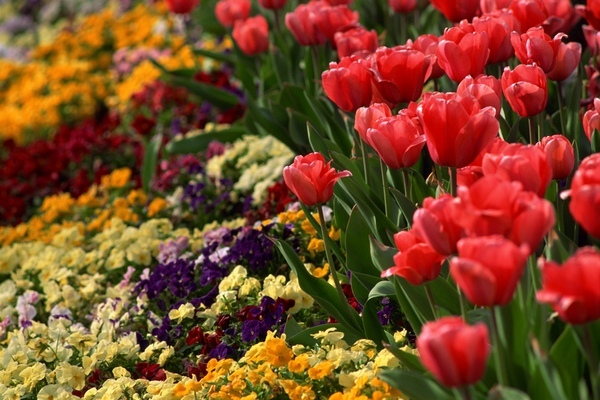 Hyacinths will not clash either, but tulips, because of their vivid contrasting colors, are best planted in named groups. 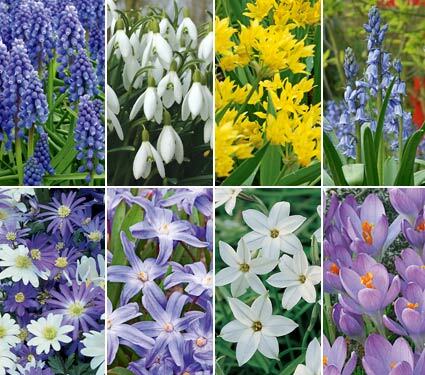 Good bulbs this year are offered at most attractive prices. For less than twenty-five dollars a boarder six by twenty feet, for example, can be solidly planted with a large variety of spring bulbs. Follow theses with a few packets of summer and fall-flowering annuals and you will have a complete garden. Along the edge of this border plant a single row of fifty mammoth yellow cross. Behind these in an eighteenth-inch drift, plant a mixture of fifty glory-of-the-snow, fifty snowdrops, and fifty Siberina squalls. Sow seed of the annual sweet alyssum month these in the fall or in very early spring. Behind these tony bulbs, plant a second eighteen-inch band of three spaced groups of five dozen mixed single narcissi, including Star and Trumpet varieties. Between these three groups, in the same band, plant three dozen heavenly blue trap hyacinths hacked by three dozen pink wood hyacinths. Sow this autumn seeds of the annual pink Shirley poppies between these bulbs. Of course, there must be lilies, too, but none growing so tall that they exceed three to four feet or their height will be out of proportion to the width of this bed. 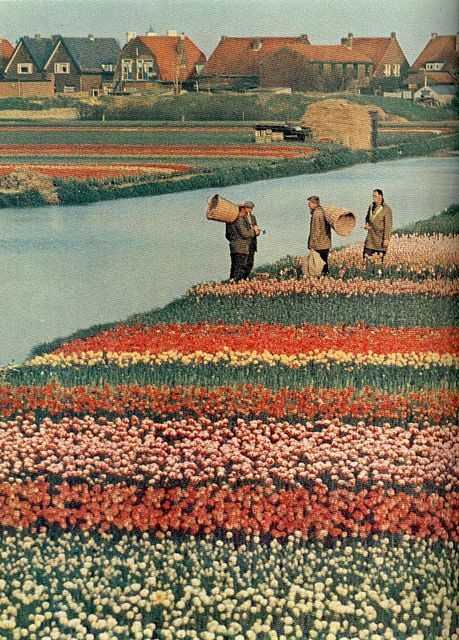 Set a dozen lilies in four groups among the tulips, each group con tainting one each of the three varieties – the Candidum set within two inches of the surface, the Regale five inches deep, and the Auratum twelve. While this border described sounds a bit more intense than I am looking for, I love the ideas of various types of bulbs in my garden!